It’s winter time here in Vegas, and while it may not seem like it, the weather is just cold enough to make partying outdoors slightly uncomfortable. When it’s too cold outside, the party just moves indoors. Where Rehab may feature the largest spring / summer party, the buck passes to a different, or several different, venues when the temperature drops. 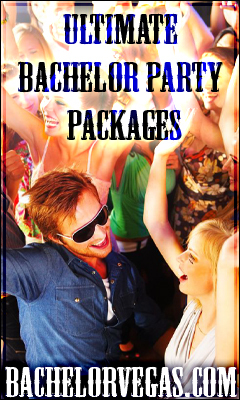 If you’re asking where you can find the largest, most active parties on the Strip, we have the answer for you. The best part? There are numerous places that we can recommend. Whenever someone asks the question “Where can I?”, the answer is typically TAO. TAO, TAO, and TAO – it’s the universal go to answer out here. This legacy establishment throws the biggest and baddest parties you can find in Sin City. On a nightly basis, TAO packs in club-goers from one wall to the next. Celebrities always make an appearance and the crowd is constantly energized. Sometimes partying on the strip can actually be “too much”. For those occasions, there is always the Artisan. 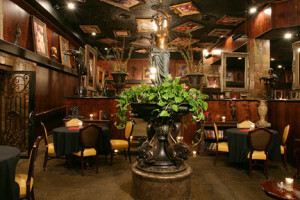 This smaller establishment is unique in style and delivers nightly on the entertainment. Despite the “boutique “moniker, the Artisan is also a high energy nightclub. The pounding bass reverberates throughout the place, giving those on the dance floor something move to. The entertainment, which is typically made up of lesser known DJ’s, is just as eager and able to keep things going for an entire evening as the AAA entertainment found on the Strip. 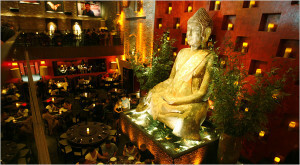 The Artisan is a rare, off-the-Strip gem that is worth the mild inconvenience of having to be away from the action. DJ” Eric D-Lox, Roger Sanchez, Lisa Pittmann, and DJ Chuckle are amongst the resident entertainers that fuel the party. From open to close, Marquee delivers one of the best parties to be had in Sin City. Marquee’s modern decor and atmosphere make it a hot spot for a younger crowd, so if it’s frat boys and sorority girls you’re looking for, this is the place to be. All of these fancy nightclubs – how do you decide which one to party at? Sorry to tell you, but we are going to throw another into the mix. Surrender mixes a high end atmosphere with a more casual affair. A large golden snake adorns the bar, forcing a visual battle between the dance floor and the popular bar area. No matter where you are in this classy establishment, you are going to be a part of an endless party, complete with great atmosphere and even better people. 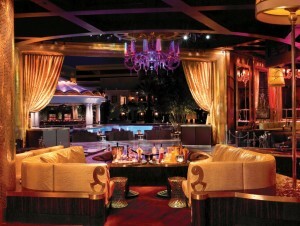 The pinnacle of a Las Vegas party can be found at XS, a Steve Wynn nightclub. Why the name drop, you ask. Anything with Steve Wynn’s name attached is guaranteed to be rich, classy, and filled with the best Vegas has to offer. There’s a reason XS always winds up on just about every Vegas ”Best of…” list. The energy in this joint is about as high as it gets. We’re not sure if it’s the gold laced furniture, the outdoor space, or the high-end entertainment, but there is just something about XS that keeps the crowded coming back and the party from stopping. parties on and off the strip. While we’ve narrowed your choices a bit, we know the decision is still a difficult one – which is why we recommend trying all of them. With our VIP access, you will want to keep coming back to Vegas to party, which gives you the ability to try each of these fins establishments. Want VIP access to any of these fine venues? Check out our nightclub page to reserve your VIP spot today. This entry was posted in Las Vegas, Nightclub, Nightlife, VIP Host. Bookmark the permalink.